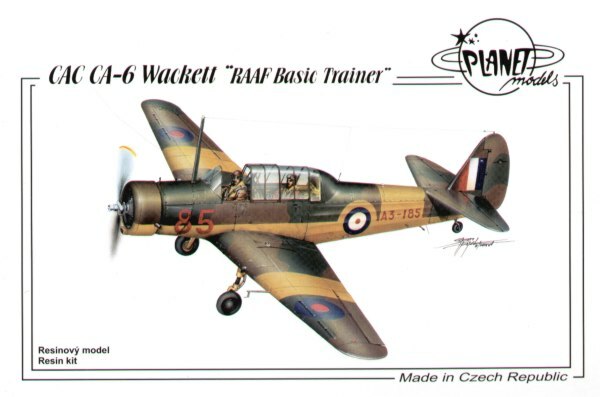 CAC CA-6 Wackett. Full-resin kit of WWII RAAF trainer aircraft. Wacketts held considerable part in RAAF pilot training program.Was also use by the Dutch Indies AF after WW2. The kit contains vacu canopy and decals for two RAAF aircraft.